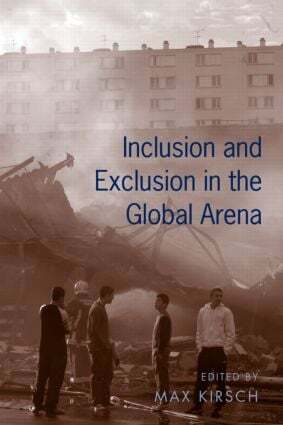 This collection of essays addresses the inclusion and exclusion of peoples, populations and regions in an era of global economic and social integration. Although many publications have discussed the way in which globalization has changed the nature of boundaries, space and the movement of peoples, there is a wide gap in a literature that rarely addresses the reaction of local communities and inclusion for some stakeholders in decision making while excluding others, particularly in regard to global integration of industry, the legislation of planning, and trade. This gap has often led to narrow and sometimes misleading ways of presenting the results of globalizing processes. This collection aims to bridge this gap by providing on-the ground case studies that lead to alternative ways of viewing current conceptual frameworks of globalization and its consequences. This collection is an elaboration of a special issue of Urban Anthropology that contained essays by June Nash, Jack Goody, Helen Safa and Max Kirsch. The special issue addressed concerns that have become prominent not only in anthropology but in the wider social sciences and humanities. The reader focuses on the conceptual divisions among the constructs of space and place, indigenous strategies for autonomy, polity and global planning mechanisms, and the role of trans-national corporations in community disintegrations and resistance.